Biomedical Repair Companies for Physician Sales and Service - Stat Bio-Medical Sales & Service, LLC. When you work with Stat Bio-Medical Sales & Service, you get unmatched customer service and quality repairs. You also gain access to our full line of physician sales and service options for both new and reconditioned equipment. Our primary goal is to keep our clients’ equipment working at near 100 percent capacity. Our medical repair services offer a wide range of options designed to support our primary goal. 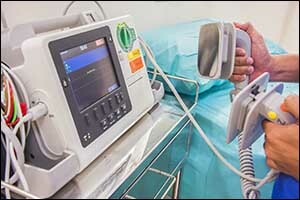 Biomedical loaner equipment is often available for clients who require emergency repairs and services, as well as medical equipment testing to help administrators stay on top of industry and government regulations. It is essential to work with biomedical repair companies that can provide you with all of the services you need in just one phone call. While our business initially launched in the North East USA region, serving clients throughout New England and other northeastern states, Stat Bio-Medical Sales & Service has now spread across the country to include other significant areas and networks. We have regional representatives who provide both physician sales and service to clients in West Florida and East Florida. We also have representatives serving the New York region, which includes New York City (NYC), Metro Area, Long Island, and New Jersey. Out west we have representatives serving the Phoenix, Tucson, Yuma, Flagstaff, Prescott, and Sierra Vista communities of Arizona, and services out in Southern California. Medical equipment testing and medical repair services are also available in other parts of the country, including Kentucky, Indiana, Tennessee, North Carolina, and South Carolina. We have representatives who handle calls for Alabama including Southeastern and Southwestern Alabama, Georgia including Southwestern Georgia, and the Big Bend and Panhandle regions of Florida. Louisiana, Southern Mississippi and Texas. Our coverage area has grown considerably in the past year, and we continue to look to the future to provide our quality physician sales and service to clients all across our great nation. Visit our website to see the full list of locations and the representatives serving these nationwide regional offices. There aren’t a lot of biomedical repair companies who also offer physician sales and service of top quality, brand name biomedical equipment. At Stat Bio-Medical Sales & Service, we provide a full range of new and reconditioned (used) equipment to our customers to help them deliver the quality care services required to meet the needs of their patients. If we do not have the machine in stock, we will acquire it for you at no additional cost. Whatever you need, from autoclaves to centrifuges and diagnostic equipment, our team can provide you with sales of all makes and models according to your requirements. Blood pressure equipment, beam scales, digital scales and thermometers, EKG monitors, hand-held dopplers, hyfrecators, lighting equipment, microscopes and colposcopes, power and manual exam tables, SPO2 handheld monitors and much more can all be purchased through our reliable and friendly sales team. Our team of highly trained, experienced, and certified biomedical technicians can deliver a wide range of comprehensive services. All of our medical equipment testing, calibration, and medical repair services are designed to exceed the industry standard guidelines set by OSHA, JCAHO, CLIA, and NFPA 99. We work with physicians, dental practices, surgical centers, urgent care facilities, hospitals, and clinics throughout the United States. Biomedical repair companies are an essential service for most medical facilities to keep their equipment in safe and effective working order. Our team is certified to work with all of the top brand names in the biomedical industry. We do this to provide our clients with all of the services they need to maintain their essential equipment. Emergency repair services, ongoing maintenance programs, calibration services, and annual inspections are all provided to help customers meet industry and government regulations. Some of the brands we are authorized to repair include MidMark, Amsco, Pelton & Crane, Statim, Welch Allyn, LW Scientific, GE, Phillips, DeVilbiss, Health O Meter, Braun, Micro Audiometrics, Klein, Hausman, Brewer, Thermo Fisher, and Vanguard. To see our full list of brands and biomedical equipment, visit our SERVICES page on our website. If you are in need of medical repair services, medical equipment testing and calibration, or general physician sales and service, contact our team by calling toll-free 1-877-995-1117. We provide a wide range of required and emergency repair services for clients in many regions across the United States. Our team can create custom solutions for all of your biomedical equipment servicing needs to reduce downtime and improve efficiency across the board. Stop shopping for biomedical repair companies and put your trust in Stat Bio-Medical Sales & Services for all of your equipment needs.